Happy Friday! Have you all had a chance to check out the Ceci Palm Beach Pop Up Shop on Facebook? If you've been liking my outfits lately, then make sure to stop by and "Like" the page. 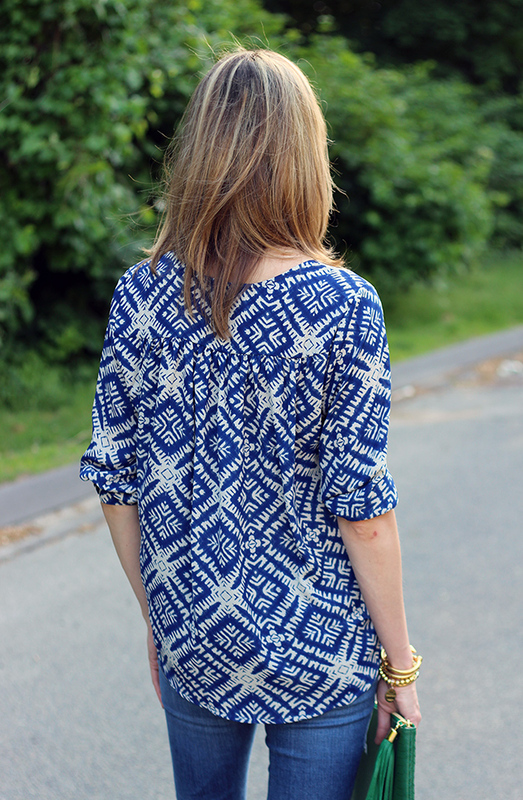 This top is another item that I am obsessed with from the shop. 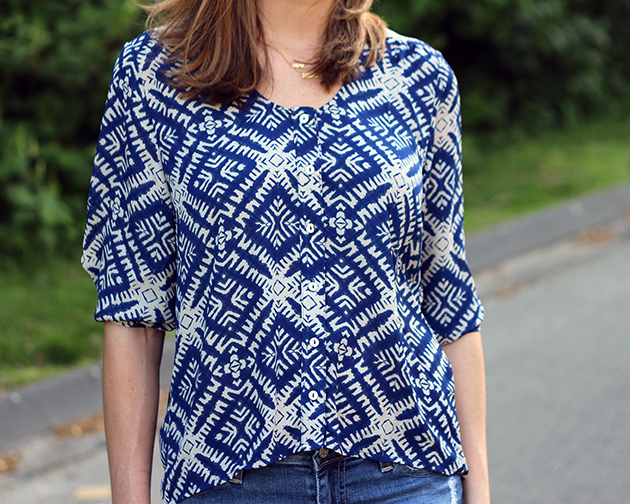 It's the perfect summer top, and I'm loving how it's slightly cropped in the front and falls longer in the back. I paired it here with my favorite lighter distressed denim for a casual look, but thinking I would like it even more paired with white jeans or a wide leg trouser. We can't be perfect all the time, can we? 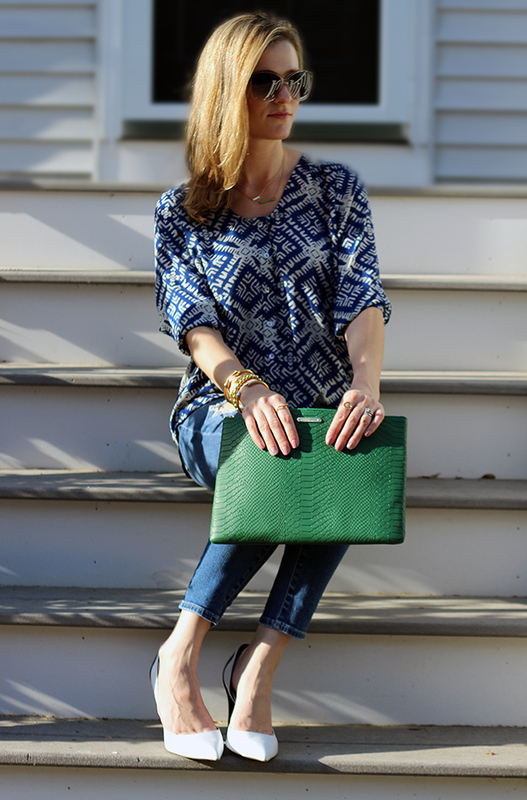 I finished the look with my everyday gold jewelry and a green GiGi New York clutch for an added pop of color. Does everybody have fun weekend plans? I'm hosting a Ceci Palm Beach Pop Up party, which should be a lot of fun. Meeting new people and dressing them are two of my favorite things. Other than that it will be low key, which is good, because starting next week Mike and I are busy just about every weekend. Let the summer activities begin! Thank you for stopping by and have a great weekend. I love this casual wear. The blouse looks amazing with those ripped jeans.